It's the new year and everyone is thinking about making a change. Health and nutrition is always a hot topic at the beginning of the year so how about you learn from some of the best in the business? 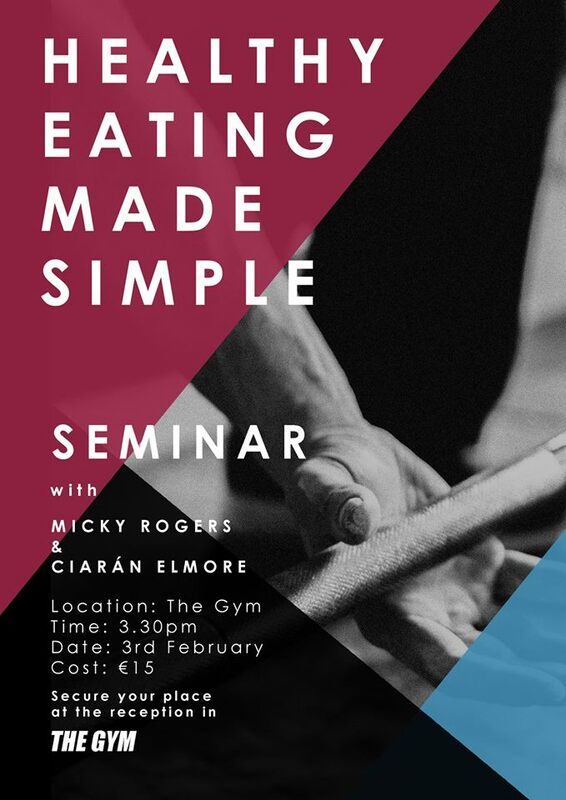 Micky and Ciarán of The Gym on the Avenue Road, Dundalk are now taking names for their next seminar on healthy eating on the 3rd of February. You can secure your place at our reception in the gym anytime. If you have any further questions call The Gym on 042 9326080.